Greetings! 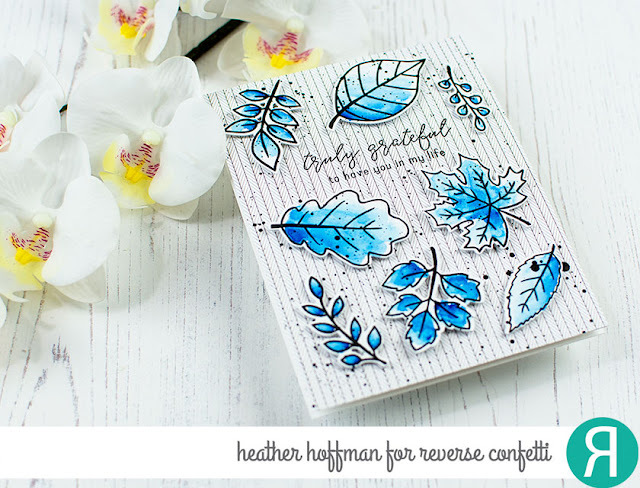 Heather here today to share a card featuring the Fall Foliage Stamp set and Coordinating Fall Foliage Confetti Cuts with some non-traditional colors for leaves! 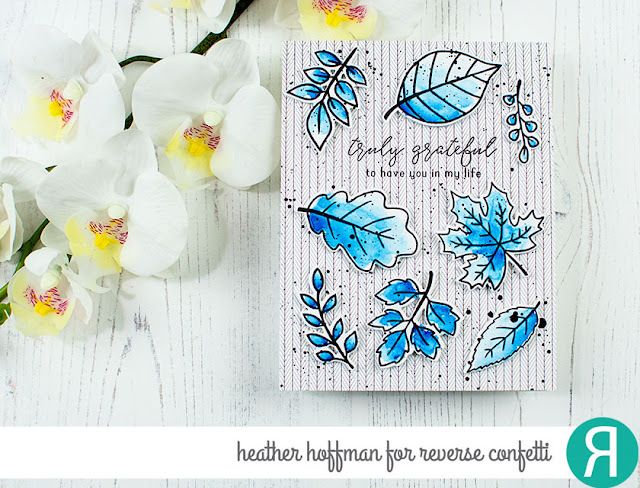 Sometimes it's fun to color images in a completely different way than you would originally think - and a great way to stretch this stamp set well beyond the fall season! I think it would be fun to do this in lots of different colors combos - there is just something about that blue though, don't you think? 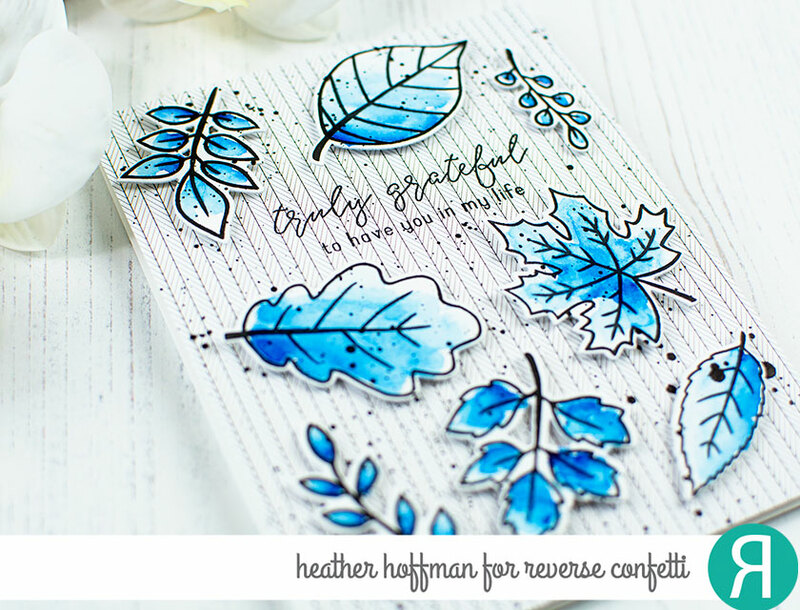 And this lovely simple pattern paper from the new 6x6 Abundant Autumn is perfect for the canvas for all these leaves. Fun card. Love the blue leaves. Heather, wonderful process video! Love your watercoloring, especially in non-traditional colors for this time of year!! 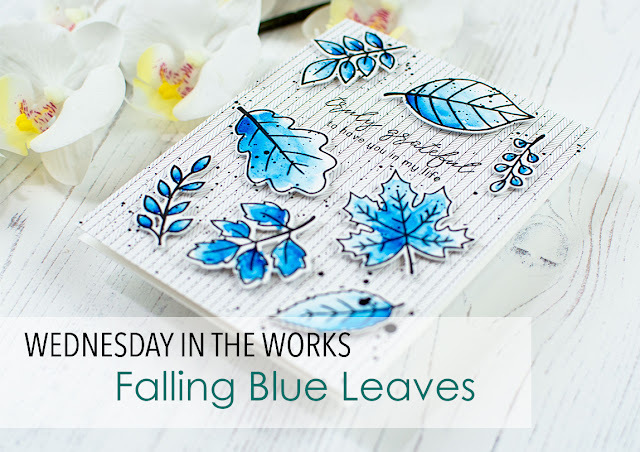 Your blue watercolor leaves and card are wonderful! Heather, I really like your card! Usually, I prefer autumn leaves with their traditional colors…but the blue is so pretty! Sweet card! Love the beautiful fall scene you created!